Scrap Car Comparison is delighted to announce three charities for the month of June – Sarcoma UK, CLIC Sargent and Sussex Snowdrop Trust. The switch from the usual one charity a month to three is because of a very special reason. Company founder and director Dan Gick’s niece is Snowy Neville, a brave young 5-year-old battling Rhabdomyosarcoma and whose family and friends amazing fundraising efforts through https://trieveryday4snowy.com/home have already raised a sum approaching 40k for the three charities. Dan has already raised a large sum of money towards this total with his 10,000 press ups in 30 days – but he is looking to raise this total even further! 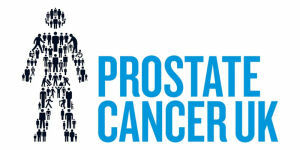 The aim is to get the total well over the £50k mark in the next month or so. Sarcoma UK is the only cancer charity in the UK focusing on all types of sarcoma. Its mission is to drive awareness of sarcoma, promote early diagnosis and improve patient experience. The charity offers support to those affected by sarcoma and has funded more than £1.7 million in sarcoma research to date. Sarcoma is cancer of the bone and soft tissue. It can develop anywhere in the body. A key symptom of sarcoma is a lump that is increasing in size, often quickly. About 3,800 new cases of sarcoma are diagnosed each year in the UK, making up approximately 1% of all cancer diagnoses. In Scotland, around 350 new cases of sarcoma are diagnosed each year. Around 200 of these are soft tissue sarcoma. Sarcoma is one of the hardest cancers to diagnose. People visit their GP more times than those with any other form of cancer before being diagnosed with sarcoma. Early diagnosis could increase survival by 20%. Sarcoma is usually the size of a baked bean tin when diagnosed. If sarcoma is diagnosed when it is smaller than a golf ball, it would increase the chance of survival by at least 20%. People with sarcoma tend to be younger than most people with cancer. 16% of sarcomas are diagnosed in people under 30, compared to only 2% of all other cancers. CLIC Sargent fights tirelessly for children and young people with cancer, often when they feel they can’t. CLIC Sargent do this individually, locally and nationally, so that they can focus on the important things, like getting well. And if the worst happens, we will work with bereaved families to get them support, to help them cope with their emotional pain. 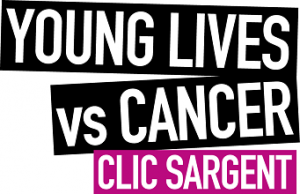 CLIC Sargent is the UK’s leading cancer charity for children, young people and their families. Their care teams have been providing specialist support across the UK for years.They know that for young lives, when the doctor says cancer, normal life stops. Cancer affects every part of life – relationships, confidence, money, school, work. CLIC Sargent care teams will fight tirelessly to limit the damage cancer causes. They will listen, and ask the right questions, so that they can provide the right support, tailored to each young person and family. Everyone under 25 with cancer, and their families, will get the support and help they need during their cancer treatment and beyond, including bereaved families living with emotional pain.CLIC Sargent want them to thrive, not just survive, and for everyone to join in that mission. Developed with the input of children and young people with cancer, and their families, Aiming High is the plan to change what it means to be diagnosed with cancer when you’re young. It sets out some ambitious goals. First and foremost, CLIC Sargent are committed to continuing to deliver vital services – last year they supported over 7,000 children and young people with cancer, and their families. They can’t achieve this strategy on their own. They are almost entirely reliant on voluntary income, meaning that every year they need to raise the funds from scratch to maintain vital services. It’s only thanks to the dedication of their staff and volunteers, and to the generosity of their wonderful supporters, that they can do this. The Sussex Snowdrop Trust is a unique charity providing ‘Nursing Care at Home’ for local children who have a life-threatening illness or who may be terminally ill. Based in the Chichester area of West Sussex. Financial help for families coping with the day-to-day problems of caring for a very sick child.In 1992, Dr Ann Wallace, Consultant Paediatrician for the Chichester area, and Ward Sister Beth Connolly, asked families of sick children what their needs were when they left hospital and returned home. They found:Parents wanted to know more about their child’s illness. The prognosis, diagnosis & medication and the time to discuss all their concerns.Parents wanted to be shown how to care for their child e.g. feeding through a nasal gastric tubeParents needed financial help – caring for a very sick child can put huge demands on resources, as invariably one parent will have to give up workWith no funds available to help these special families, in 1993 Co-Founders Kate Shaw, Diana Levantine and Frank Snell (who sadly died in April 2004), set up The Sussex Snowdrop Trust and its special Children’s Community Nursing Team.